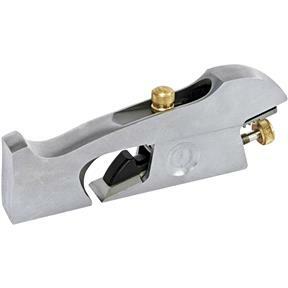 Newest addition to the Sweet Heart line of planes from Stanley, the #92 features a 1/8 thick A-2 blade and a two piece ductile iron body with a fully adjustable mouth. Ideal for shoulder work or once separated, the exposed blade can be used as a chisel plane for cleaning corners and removing excess glue. Limited lifetime warranty from Stanley.